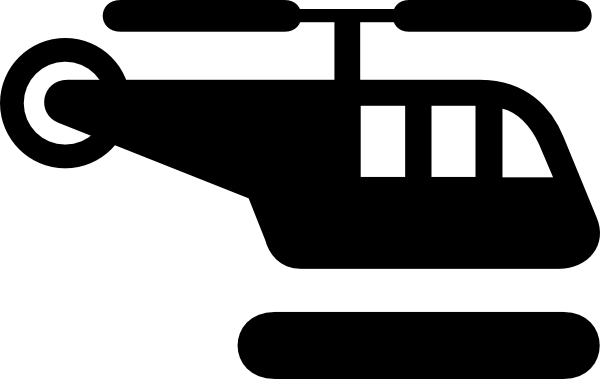 Aviation in Freeport was not so much for transportation but rather aerial tours, air shows, flying lessons, and research and development; however, it would be odd to leave out that Freeport had aviation facilities in a discussion about transit. The village seems to have had two different airfields during the 1920s and 1930s. The history of aviation in Freeport goes back over 100 years. Early flight experiments were conducted in the village by Augustus Herring, who built experimental aircraft in the 1890s1. 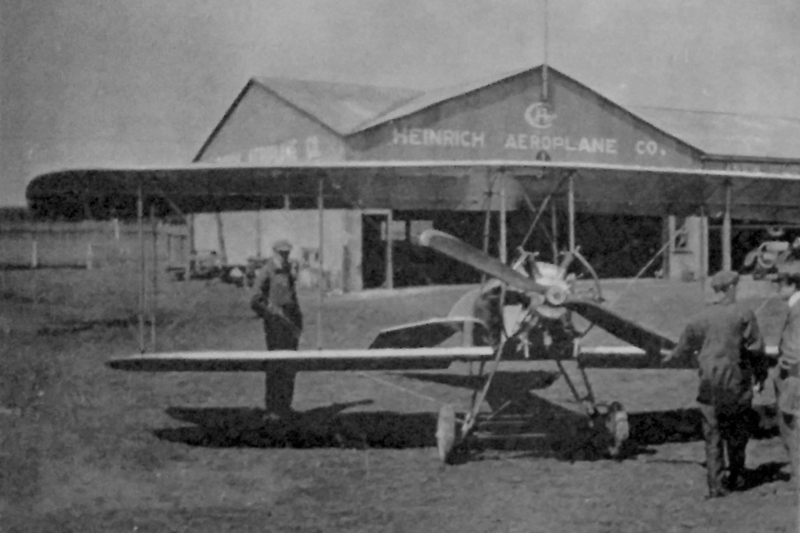 Freeport also once had an airplane factory, located on Merrick Rd., that was owned by the Heinrich Bros., who designed and built the first American monoplane2. Krieg, Cynthia Jane and Regina G. Feeny. Images of America: Freeport. Arcadia Publishing, Charleston. 2012. The Freeport Airport operated from 1928 to the 1930s, when it was put out of service by the Great Depression3. While in operation, it was called a connecting point for the South Shore4. The airport was situated on 70 acres5, had one hangar6, and an unpaved 1,500 foot runway7. Two more 2,000 foot runways were planned, thought it's unclear if more than one of them was ever constructed8. The airport was located on South Grove St., now Guy Lombardo Ave., some distance south of Front St.9. Services were said to include flying lessons and airplane supplies10. 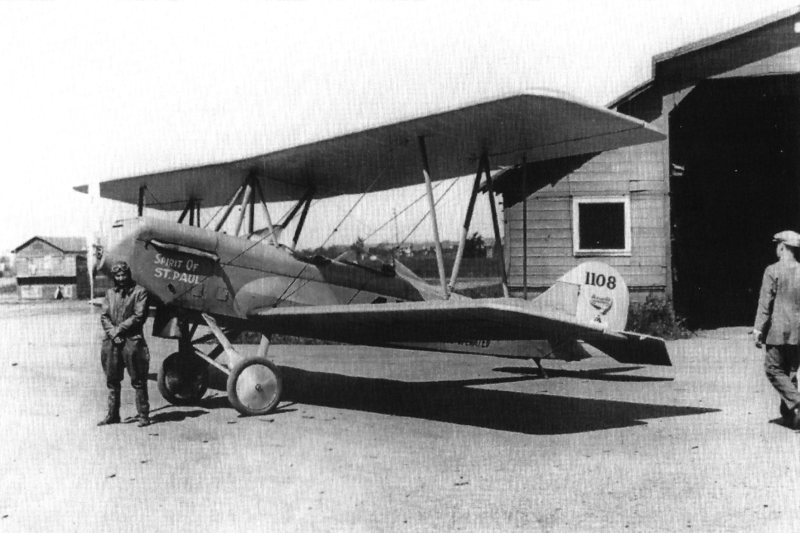 The native Freeport aviator Elinor Smith, along with her father Tom Smith, were among the pilots who made the first landings at the Freeport Airport11. The dedication ceremony included a flight show and speeches. Up to 2,000 people attended, including the commandant of Mitchell Air Force Base situated in Garden City and Uniondale, the Assistant Secretary of Commerce, and a detail from the Nassau County Police Department12. Tom Smith was to run the airport, and he stated its goal was to make Freeport an aviation hub for Long Islanders13. 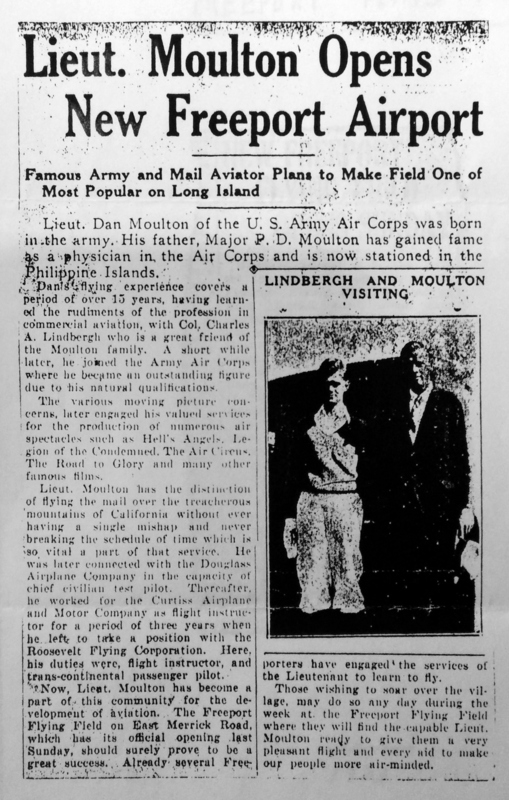 Aside from the economic upheaval of the 1930s, the reasons for Freeport losing its airfields were probably similar for most of those on Long Island. Aviation gradually became more regulated and standardized and was consolidated around larger facilities. Moreover, encroaching development made operating out of many of the airfields problematic, and the growing population of Long Island increased the demand for and value of land to a point that precluded such sprawling facilities. Another notable aviation event in Freeport was the start of airmail service by helicopter, commemorated by the above first day cover, which was created by the Freeport Chamber of Commerce. 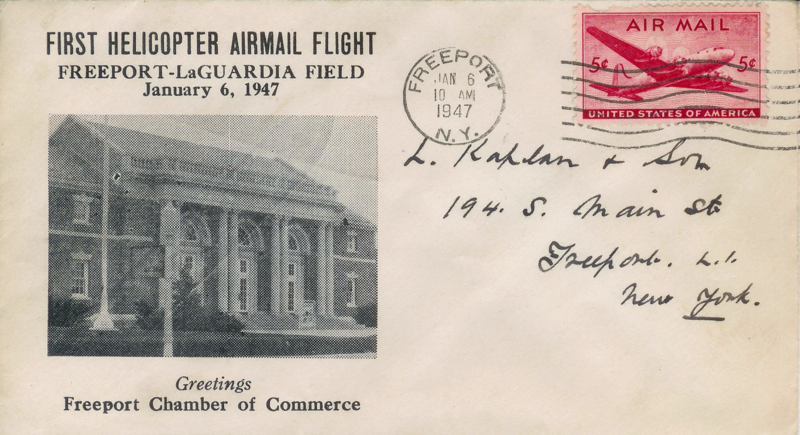 The first flight took place on January 6, 1947 from Freeport to LaGuardia Field, now LaGuardia Airport. The service does not seem to have lasted long. Aviation continues to have a part in Freeport into the present. Here, a Seahawk helicopter takes off from John J. Randall Park on May 26, 201115. 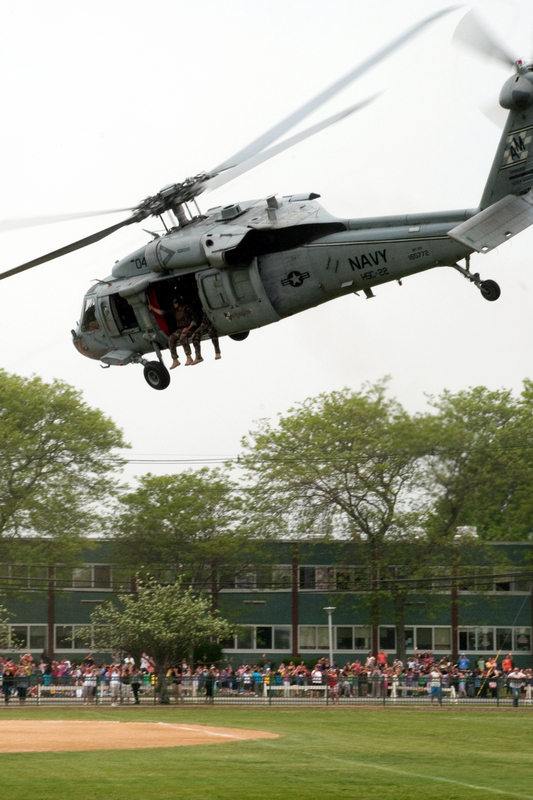 The Navy has performed yearly helicopter demonstrations in Freeport multiple times during its Fleet Week activities in New York City. Freeport Historical Society. "First in Flight" exhibit. Freeport Historical Museum, Freeport, NY. "2,000 Attend New Airport Dedication." Newspaper article. Freeport Historical Society collection. "Freeport's New Airport Given Initial Tests." Newspaper article. Freeport Historical Society collection. "Freeport Plans to Dedicate Its New Air Field." Newspaper article. Freeport Historical Society collection. "2,000 Attend New Airport Dedication." Newspaper article. Freeport Historical Society collection; "Freeport's New Airport Given Initial Tests." Newspaper article. Freeport Historical Society collection. "Lieut. Moulton Opens New Freeport Airport." Nassau News. 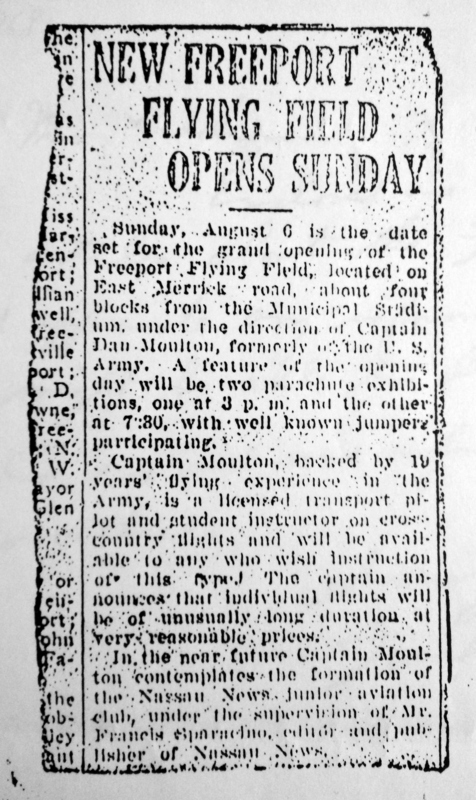 1933; "New Freeport Flying Flying Field Opens Sunday." Nassau News? Freeport Historical Society collection. White, Matthew R. "US Navy 110527-N-1251W-110 An MH-60S Sea Hawk helicopter assigned to the Sea Knights of Helicopter Sea Combat Squadron (HSC)." Wikimedia Commons. 5/26/2011.